I have a large stack of WIP’s… What about you?? The majority of them are crochet projects that I fully intend to finish!!! But this week, my daughter asked me if I could Knit (yes Knit) a hat for her friend’s birthday,,, And she would by the yarn… How can you say no to that?? Well I guess if you didn’t know how to knit you would say no…lol. So, She brought the yarn home… A gorgeous skein from Cascade Yarns Eco Duo line… It was a Alpacha/Merino Wool blend.. undyed. I don’t knit often, but I can do the basics… So I had her show me a picture of what type of beanie she wanted, and I dug out my knitting needles(well found them in my knitting drawer)! Then the fun began… I was nervous, I wanted it to turn out just as she wanted and also,,, not ruin the great yarn she bought… When you are making something for someone else’s vision,,, It is always a little scary! Back to crocheting… Do you hear a sigh of relief?? I am so much faster and proficient with crochet, it is really my craft of choice!! But after knitting this hat,,,I thought… Hmmm maybe I will try a little more knitting in the future! This week I also completed Week 8 of the Crochet-A-Long… We are nearing the end… The edging will be started in the next week or so… I am really happy with the afghan so far! All the pictures on Facebook Show and Tell have been really great… If you have time,, hop over to last Friday’s Show and Tell and check them out!! Charlie could hardly sit still for this picture… All he wanted to do was bounce all over the yard!! The hat turned out great and I adore the colors in your blanket! The hat looks beautiful! 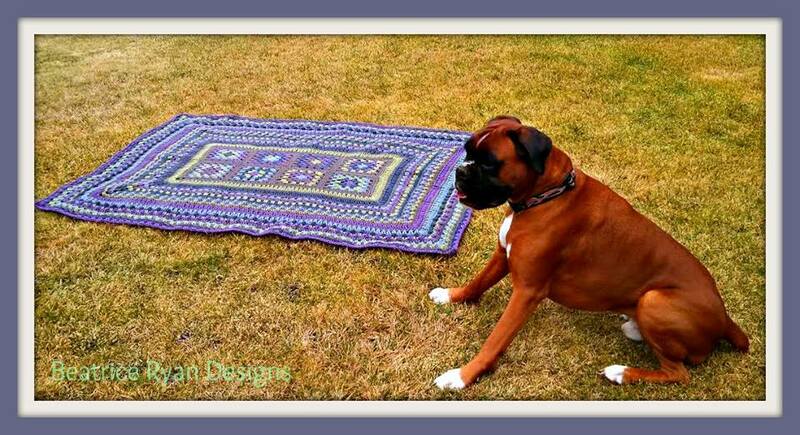 Know what you mean though, I would rather crochet also! I love this hat!! It’s beautiful!! 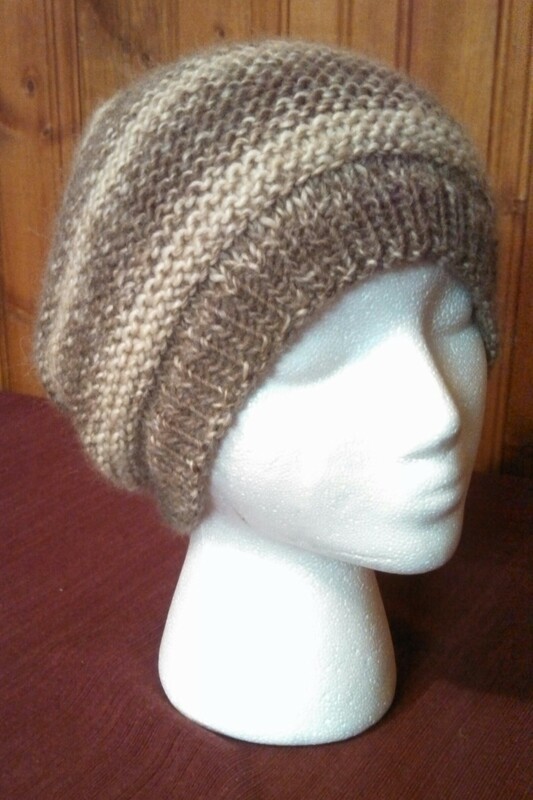 Do you have a pattern to share for this knitted cap? I really love the texture of if. I knit and crochet both, but most knit caps seem to be very complex and take days to complete. I’d like to make a few to add to my church’s April craft market. By the way, I just stumbled upon your patterns today, and you’re a goddess. I thought you should know that. Sorry,,, No pattern for the knitted hat… It was just a basic beanie I found on Ravelry… and thank you for your kind words!! You’re more than welcome. You’re obviously very talented. Unfortunately I do what one very talented knitted referred to as “back-door knitting.” I’m not quite sure what that means, but knitting lace is a real challenge because I don’t make my stitches in the conventional fashion. A women I met recently does German style, and it’s not what I do, either. Hmmm. I’m preparing to join a knitting group, but it’s about 50 minutes from home, and it’s snow season, so we’ll see how long it takes me to get there. Maybe someone else knows what it is. I’m gong to take a photo of the hat and try to duplicate it, since I love it so much. Thanks again for your reply.